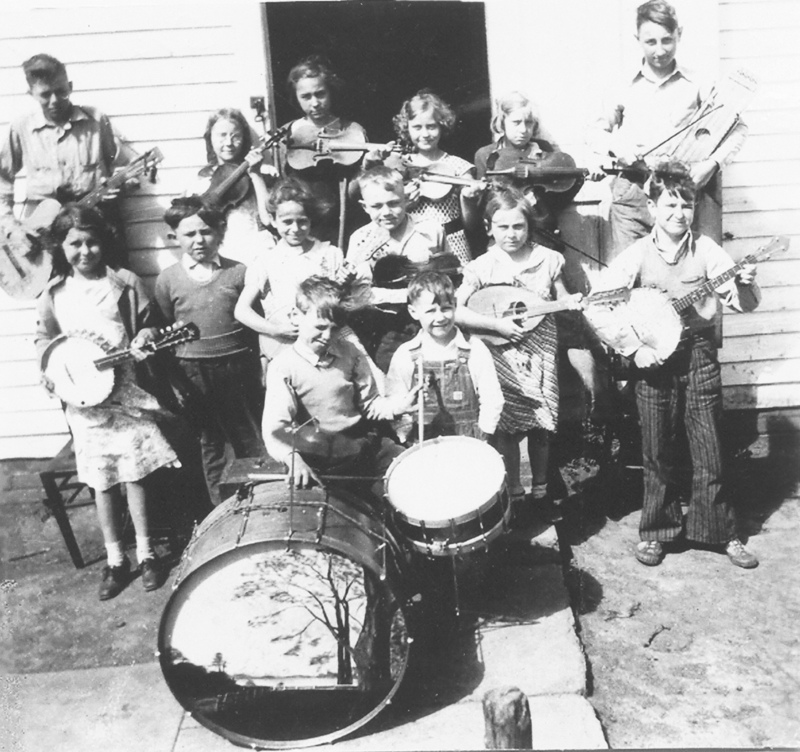 This picture of the Buchanan School Band is from about 1933. The teacher is Eugene Downing. I have not identified all of the children but if you compare it with the picture of Buchanan School children you will see many of the same faces. Buchanan School was on the northeast corner of Section 9, Mt. Pulaski Township.